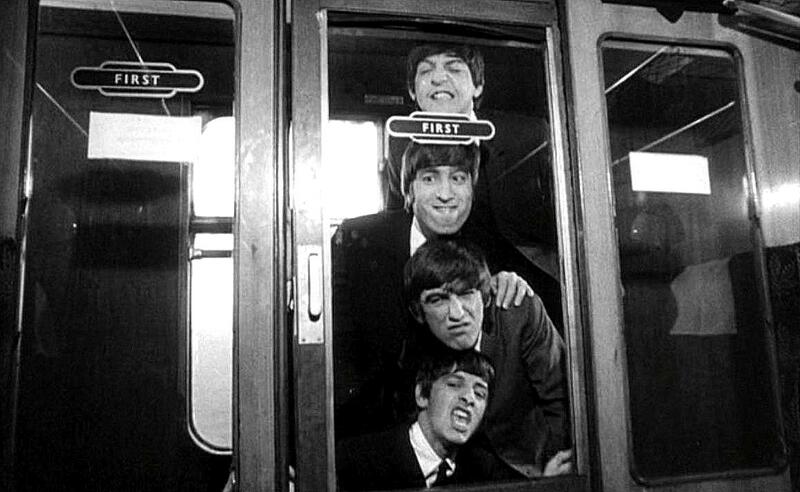 The Beatles starring in their first feature film at the height of the mania surrounding them was bound to be a success even if they'd just been filmed standing around smoking cigarettes. As it happens, the plot of the film was a day in the life of the Beatles which was the cleverest thing they could have had as a plot as it satirizes the craziness that surrounded them very well and still stands up today as a fresh, hilarious movie. George even met his first wife while working on the film. 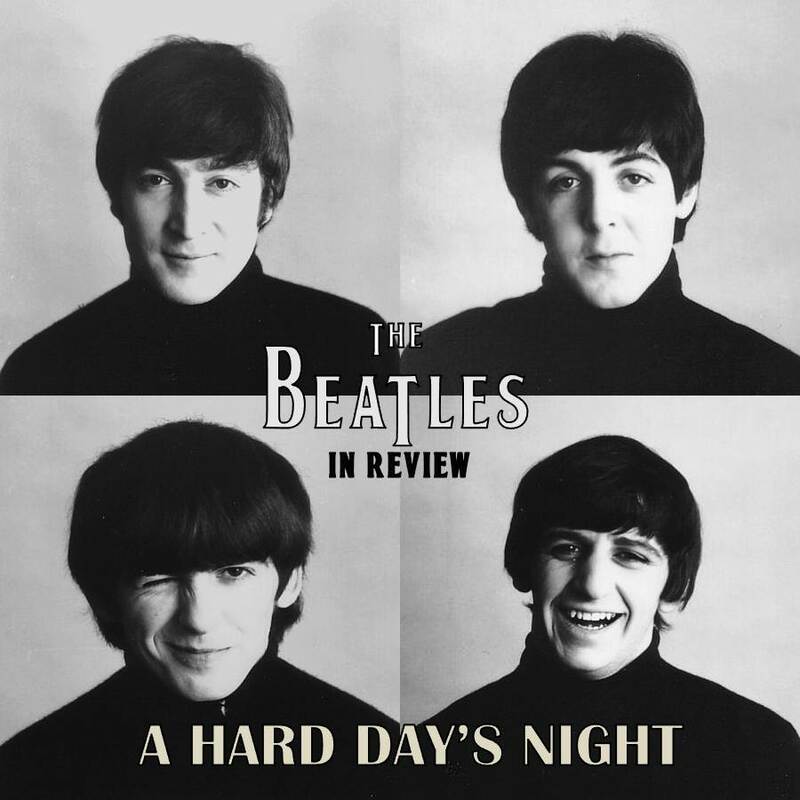 The thing about 'A Hard Day's Night' is that it wasn't anything like 'The Girl Can't Help It', a music film which the Beatles loved, in that film, a buxom Jayne Mansfield was being pushed by her Mobster boyfriend (Edmond O'Brien) to be a singing star despite the fact that she couldn't sing and didn't have any interest in being a star. During the course of the movie, every American Rock & Roll Idol of the Beatles performed, Little Richard, Eddie Cochran, Gene Vincent, just about everybody except Elvis was in it. 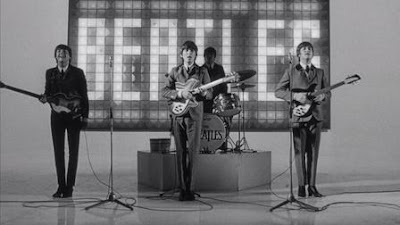 While it served to spur the young Beatles on, the movie itself was an exploitation of what they thought was a fad at the time. "This bloke's in my spot!" 'A Hard Day's Night' was no doubt thought of in the same terms and that way of thinking was confirmed by director Richard Lester when, in early 1969, he inquired at United Artists about the existence of deleted scenes and out-takes from the Beatles' films and was told that they'd all been destroyed. 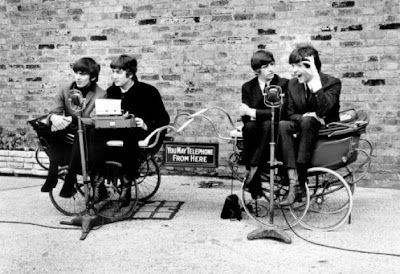 Today only photographs remain of scenes that were left out of 'A Hard Day's Night', these include; a scene depicting the four in a pair of prams with John typing and Ringo answering a telephone, Paul McCartney's solo scene when he happens upon a young aspiring actress (played by Isla Blair) rehearsing, a scene where the boys are stuck in a traffic jam with their chauffeur (played by Frank Thornton). The character of Paul's grandfather who Wilfred Brambell plays with relish, may seem a strange character in a movie about a pop group but works, especially with the references to his character in the BBC sitcom 'Steptoe & Son' who is constantly called a "Dirty Old Man" by his onscreen son. 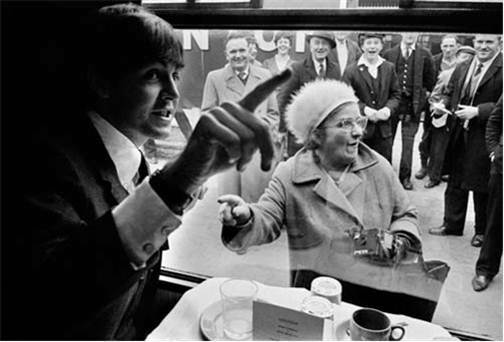 Here in A Hard Day's Night, however, he is praised for being very clean! which he seems happy about. John Junkin's character of 'Shake' is instantly likeable, loosely based on Mal Evans, the Beatles longtime roadie and bodyguard, Shake is the Beatles gopher and, like anybody at that time would, loves every minute of it. Norman Rossington plays Norm with a vigour that is in stark contrast to the character he played in 'Carry On Sergeant'. Incidentally, Norman Rossington would go on to star alongside Elvis Presley in 'Double Trouble' in 1967 giving him the distinction of sharing screen time with two giants of the music industry. "Can we have our ball back?!" The role that is probably best remembered in 'A Hard Day's Night' is that of Victor Spinetti as the frantic T.V. 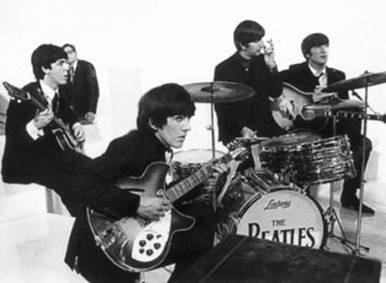 Director who is desperately trying to get the Beatles to rehearse for their television concert. Spinetti would go on to become extremely good friends with the Beatles, John Lennon in particular, and star in their next feature film and their TV film. Between takes of the "If I Fell" scene. Ringo also came in for a round of praise for his solo scenes down by the river with child actor David Janson, who grew up to inherit the role of Herr Flick from Richard Gibson in the BBC sitcom 'Allo 'Allo! 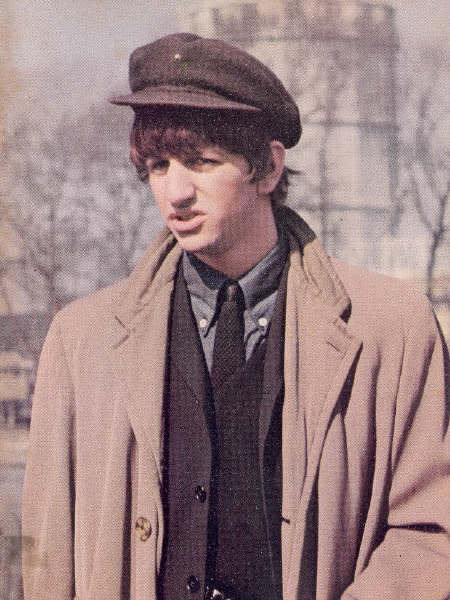 A rare colour photograph of Ringo during his "Parading" scene. Sadly, only a handful of the cast are still alive. John Lennon, George Harrison, Wilfred Brambell, Norman Rossington, John Junkin, Victor Spinetti, Richard Vernon, Edward Malin, Derek Guyler and Robin Ray are all no longer with us. 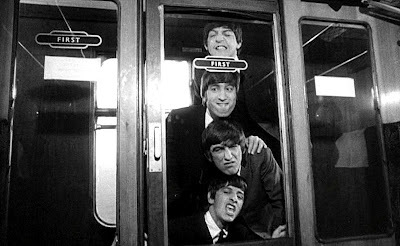 A Hard Day's Night was brilliant, funny and it captured the Beatles at a time when everything was still somewhat fun in their lives. Every time I see it playing on the telly i think to myself; "Yeah! Yeah! Yeah!" One of the deleted scenes. From L-R: John Lennon, George Harrison, Wilfred Brambell, Norman Rossington, John Junkin, Victor Spinetti, Richard Vernon, Robin Ray, Edward Malin & Derek Guyler.